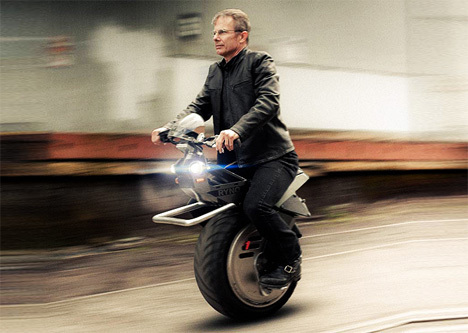 If the idea of a small, self-balancing vehicle is appealing to you but you just can’t bring yourself to be see on a Segway, the Ryno Electric Unicycle could very well be what you’ve been waiting for. The one-wheeled scooter zips around at a rather low top speed of 15 MPH, so don’t count on it for quick getaways, but it’s so maneuverable that it can go just about anywhere. 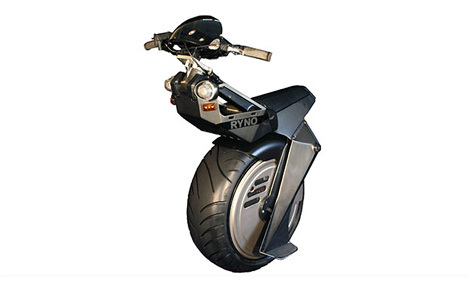 Unlike the Segway, the Ryno allows riders to sit down while using it. The creator of the Ryno, engineer Chris Hoffman, imagines that this could make it a valuable tool for security guards and people in other professions where repeated foot patrolling of a large area is required. The driving method takes a bit of getting used to, but users can typically get the hang of it in short order. 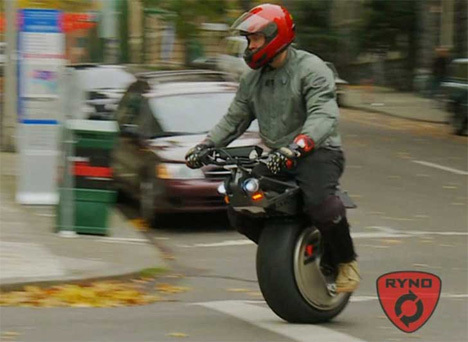 Although Hoffman doesn’t envision the Ryno replacing other types of transportation, he believes that it would be an invaluable addition to whatever two or four-wheeled vehicles riders are already using. The electric battery on the upcoming production model will have a 30-mile range, making it the perfect little go-to gadget for short trips. A handful of orders have already been placed for the pre-production hand-assembled model which is priced at an insane $25K. 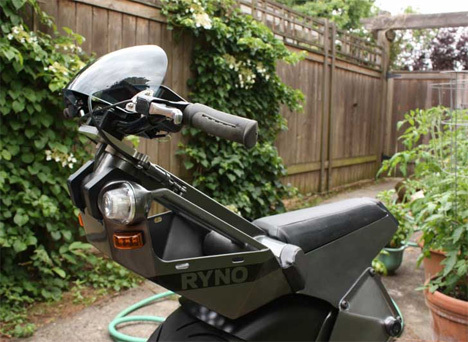 The market model is expected to sell for around $3,500, which is reasonable enough to make it a viable commuter scooter or patrol vehicle.